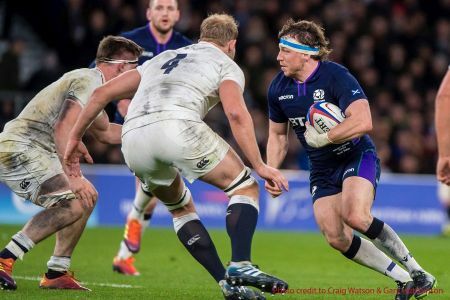 The final weekend of the Six Nations was certainly a busy one for Oakhamians - with both current and former students making their mark in this well-loved tournament. Hamish, who joined Oakham aged 13, praises the School for not only nurturing and developing his talent on the pitch, but also supporting him along his journey to playing professionally. “I can’t thank the sports coaches at Oakham enough – they played a huge part in my success,” says Hamish. He fondly remembers his Director of Rugby and the Leicester Tigers ‘legend’ Ian Smith, driving him to various rugby trials at different stages of his career. Whilst Hamish was part of the ‘main stage’ of events, two current Seventh Form students were also taking part in the U20 and U18 competitions. Sam took a break from his A-level studies to represent Wales in the U20 match against Ireland, whilst Jack scored in his debut playing for England Rugby U18s in their match against Scotland.